of Sunshine Serpents (http://www.sunshineserpents.com/) is coming down from central Florida to speak about North American box turtles. His talk will include observations from the field and lots of colorful pictures of all the species and subspecies of United States and Mexico. 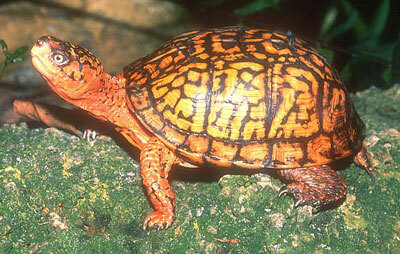 A few live turtles will also be displayed. As with so many other herpers, Daniel's interests were captured by these endearing creatures at a young age. Come out and see what makes box turtles so cool! WHO'S INVITED ? You are! Anyone with an interest in any aspect of herpetology or herpetoculture is welcome to attend, learn, and exchange their experiences with our friendly membership. Come out to meet others who keep, breed or study reptiles and amphibians, and let them share their fascination with you. We average 30 – 70 people attending every meeting.